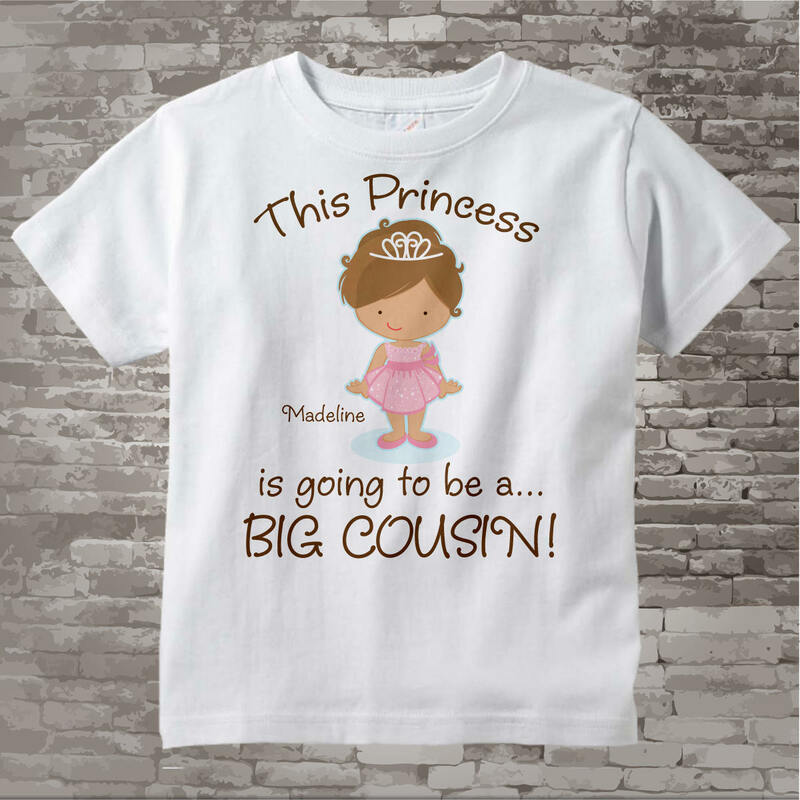 If your little niece is a light brown haired princess and is about to become a Big Cousin, this cute little Princess tee is perfect for her. I also have this available in other hair colors. 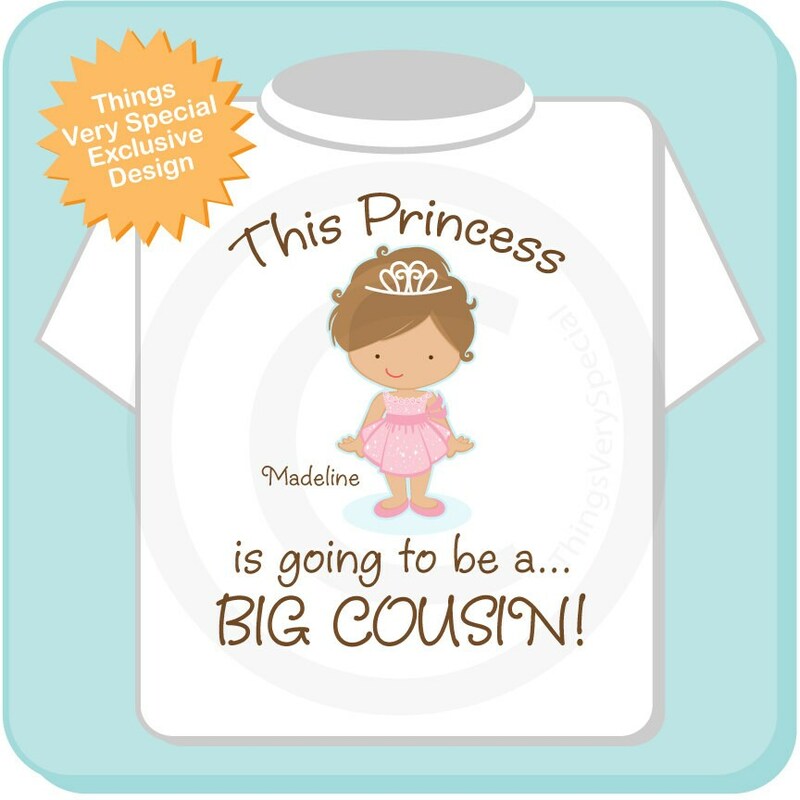 This fit my niece beautifully!!! Thank you so much She loves it!